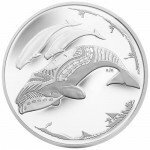 Produced with one troy ounce of .9999 fine silver, the 2013 1 oz Canadian Silver Orca is a gorgeous example of the Royal Canadian Mint’s superb minting expertise and engraving abilities. As the fifth release of the mint’s “O Canada” series, this Silver Orca Coin is available in limited quantities which makes it an excellent addition to any collection of precious metals. Limited availability, with a total of 8,500 coins struck in total by the Royal Canadian Mint! 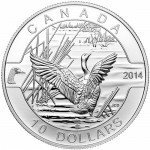 Fifth overall coin in the 2013 “O Canada” Series from the RCM. Arrives in a presentation box with a Certificate of Authenticity included. Face value of $25 (CAD) is fully backed by the government of Canada. Designed by Canadian artist Pierre Leduc. Issued as a proof version. Celebrates the rugged Orca, one of the most beautiful and commanding marine mammals in the world. 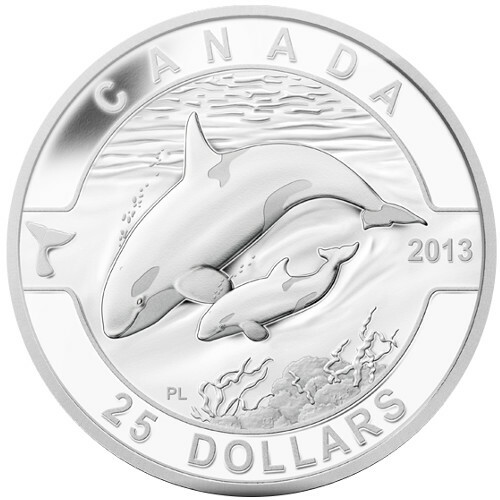 Each 2013 1 oz Canadian Silver Orca features an eye-catching designed rendered by Canadian artists Pierre Leduc. The scene showcases a mother orca and her calf with. Customers will note the rippling of the waves, the orca’s air bubbles, and even the stony outcropping of the seabed. This coin’s design celebrates Canada’s natural heritage as well as creatures revered for their remarkable social structure and intelligence. 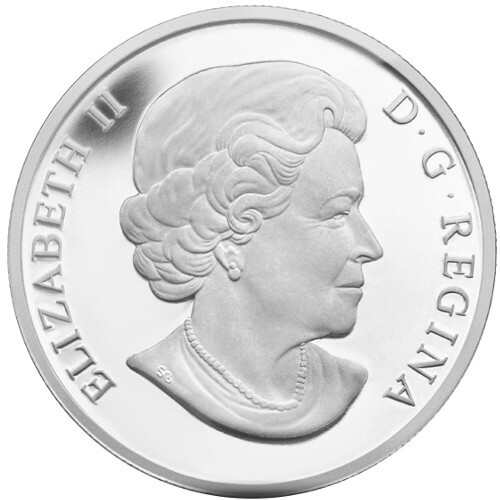 The obverse side of each coin features a profile view of Queen Elizabeth II. Silver.com ships in stock items within three days of cleared payment. All items are carefully inspected for authenticity upon arrival at our facility. This 2013 1 oz Canadian Silver Orca will ship in brand new condition in inconspicuous packaging for added security. We also insure all items upon mailing in the rare event of loss while on its way to you. 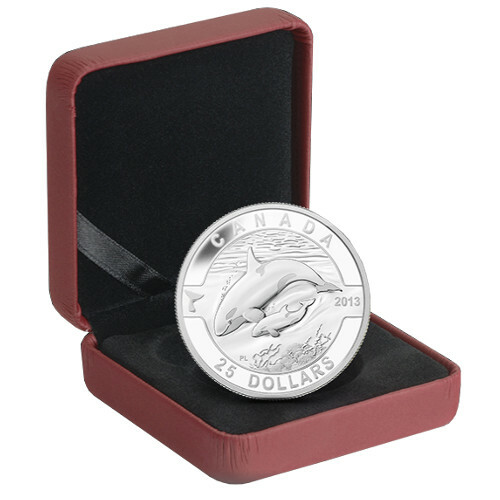 The 2013 1 oz Canadian Silver Orca is a fine example of the Royal Canadian Mint’s repertoire of excellent precious metal products. It is one of the few mints in the world that refines silver at the .9999 level. If you have questions about this silver coin or any of our other featured offerings, you can call Silver.com at 888-989-7223. If you prefer, you can also get in touch with one of our staff members by email or live chat.